A Hurom Juicer is an excellent option for the health conscience shopper. Not all juicers are equal, and nor are the juices they produce. 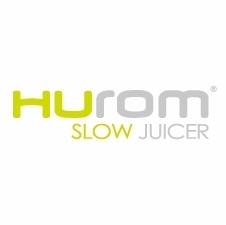 Hurom, one of the premier names in juicing technology, has created a line of slow juicers that maintain the high nutritional value of your food, while giving you more juice and a longer shelf life for everything you make. Browse our selection of slow juicers by Hurom below. Trust Harvest Essentials to provide top-quality Hurom Slow Juicers for sale! What Makes a Hurom Slow Juicer Special? Some masticating juicers operate at high speeds to process foods into juice. With speed comes friction, and friction means high heat. When you heat your juice before drinking it, you risk losing some of its nutritional value and shorten its effective life. A Hurom slow juicer uses a single auger that moves slowly but forcefully to release nutrition from your foods, then puts the pulp through a second pressing stage to get every bit of nutrition from fruits and vegetables. Only the speed of the auger is slow; you'll still get your juice quickly. It will last longer in the refrigerator, too. While it's optimal to drink juice as soon as possible after juicing, you can store slow-juiced products for hours longer than conventional juicing machines can promise. Juicing your foods tastes good and provides important health benefits that you'll want to do for life. That means your juicer will have to last, especially if you're blending juices for a family or enjoying juiced fruits and vegetables daily. Choosing a juicer that can stand up to years of making your own carrot juice, fruit juice blends and homemade soy milk makes sense. Your Hurom juicer is built to last with an Ultem screen that resists wear and a 10-year warranty on its powerful motor. It's also self-cleaning and requires little counter space, so caring for your juicer lets you get on with your life. Every Hurom juicer comes with a recipe book, instruction manual, juicing cups and a brush to keep it clean. You don't have to stop with what you see in the book, though. Your juicer can juice many items. Juice everything from solid root vegetables such as carrots and beets to leafy greens that are notoriously tough for other juicers to handle. Your Hurom Juicer can do it all, so let your taste and your nutritional needs be your guide.